Performance increased by X. 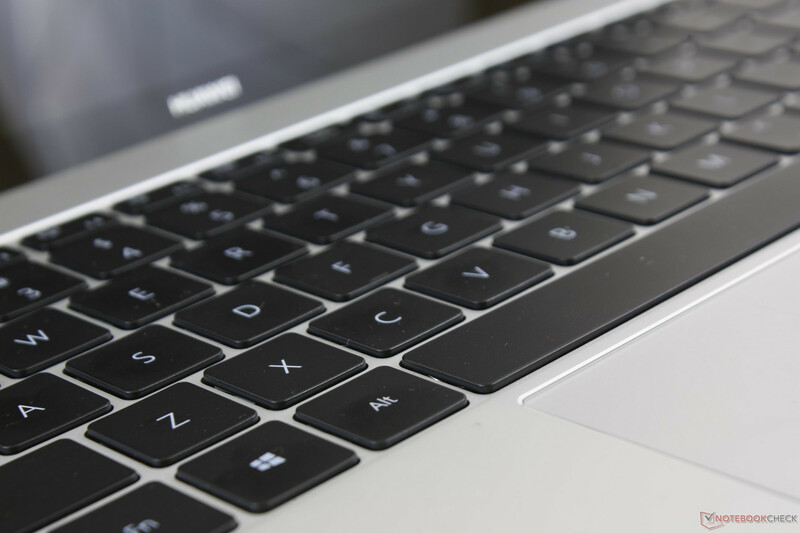 About half a year ago, the Pro version of the MateBook X gave us a good impression with its Intel Core i5-8250U. Today's review update will take a look at the Core i7-8550U version, which also features a GeForce MX150. Find out what buyers can expect from this model in our review. 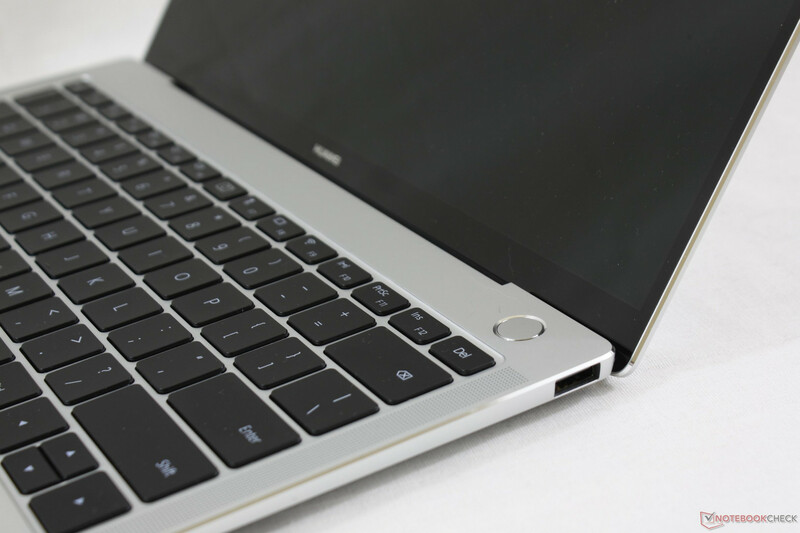 Huawei has directed its good-looking MateBook X Pro at buyers who are searching for attractive alternatives to all the Surfaces and MacBooks of this world. 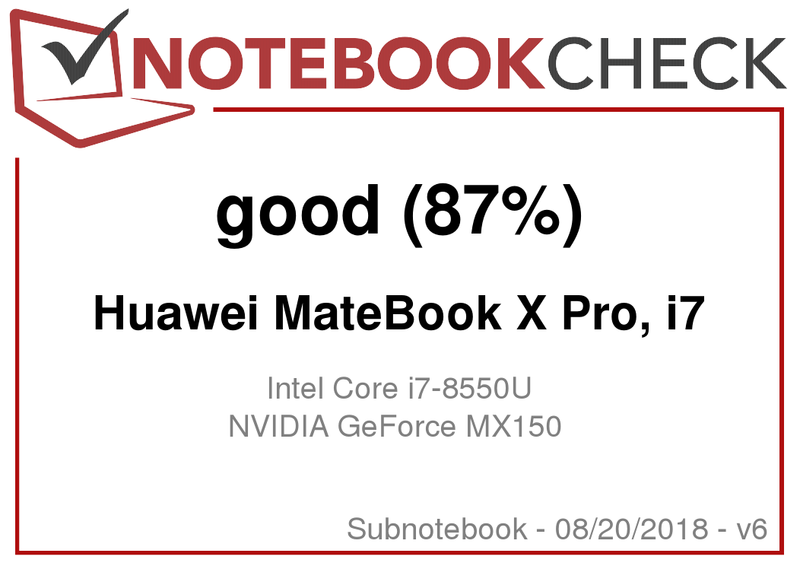 We already tested the MateBook X Pro in its configuration with a Core i5-8250U CPU about half a year ago and were very happy with it. 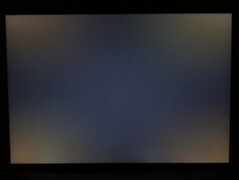 However, the intense display and stable case as well as its near silent operation were tainted by insufficient performance under continuous load, missing maintenance options and a webcam that was below average. 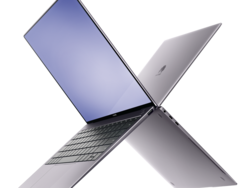 Our current configuration of the MateBook X Pro is available for about $1700 and offers an Intel Core i7-8550U processor, an Nvidia GeForce MX150 graphics card, 8 GB of RAM and a 512-GB SSD. However, other manufacturers also have several well-designed business notebooks with a very similar price-to-performance ratio available. 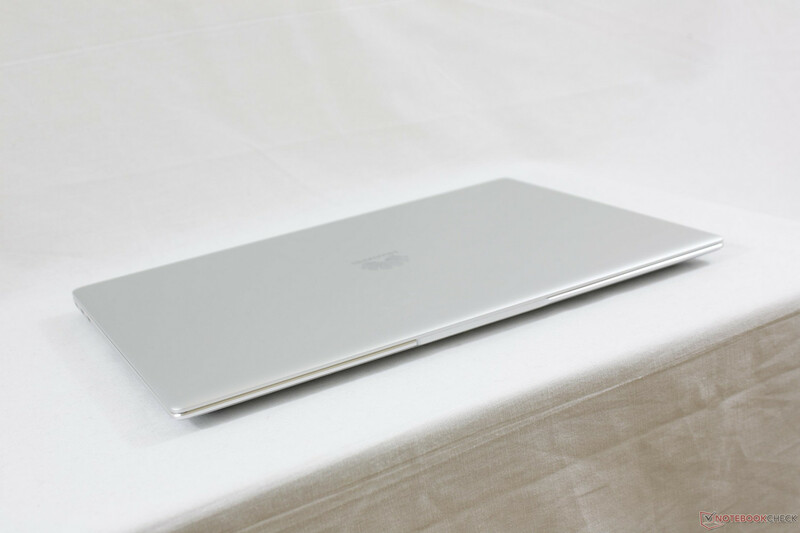 We have chosen the HP EliteBook 745 G5, Dell's XPS 13 9370, the Asus ZenBook UX3430UN and the slightly cheaper MateBook X Pro with an Intel Core i5-8250U as our comparison devices for today's review. 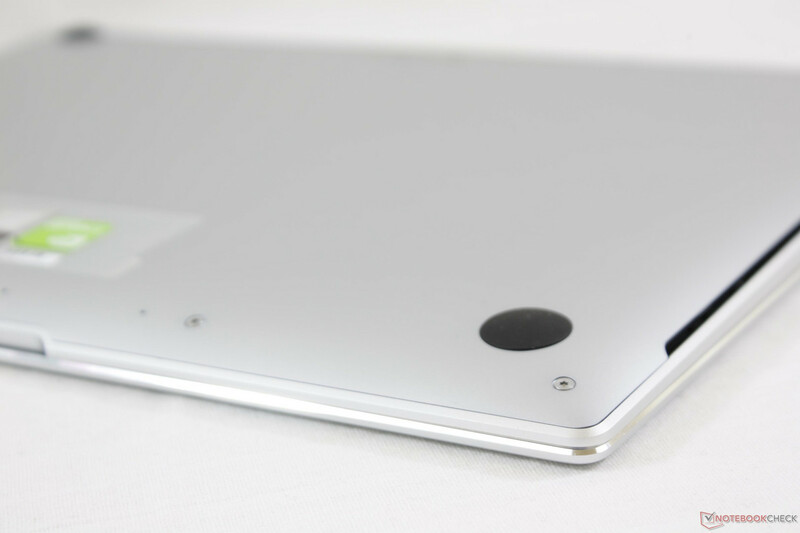 No changes have been made to the case of the Huawei MateBook X Pro. Huawei now offers two colors for its device: SpaceGray and Silver. 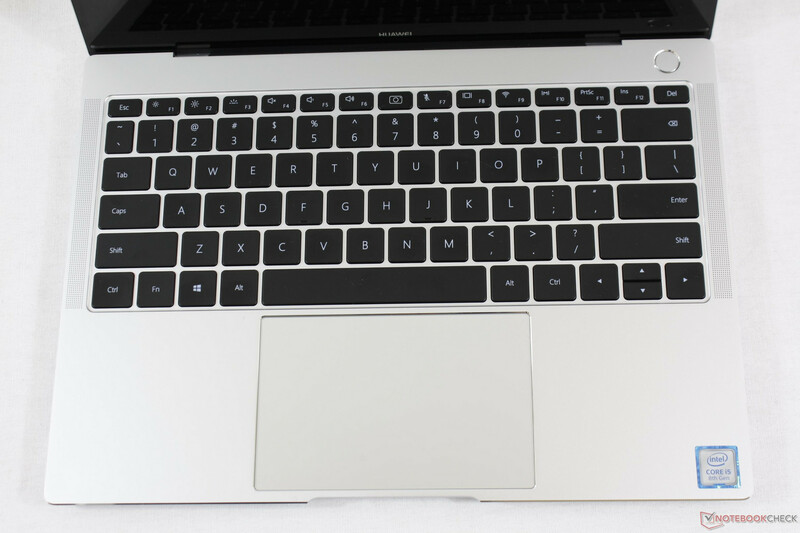 Please take a look at our review of the Core i5-8250U MateBook X Pro for a detailed description of the case. 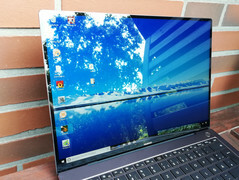 The dimensions of the Huawei MateBook X Pro are comparable to those of its competition, although the 3:2 display format requires the device to be deeper than usual for 14-inch devices. Huawei has skimped on the port selection but does offer a fully-fledged Thunderbolt 3 port. Our test unit also comes with a MateDock 2, which connects to our device via the USB Type C or Thunderbolt ports and offers VGA, HDMI and a further USB Type C and Type A port. The device still lacks an SD card reader. Users of the Huawei MateBook X Pro can only connect to local networks via Wi-Fi, including the faster ac standard. Our test unit reached very good data transfer rates of 630 MBit/s. The data reception speeds are also good at up to 525 MBit/s. This puts the Huawei on par with comparable devices and our test unit does not stand out in our comparison field. You can also purchase an optional USB-3.0-to-LAN adapter from Huawei. 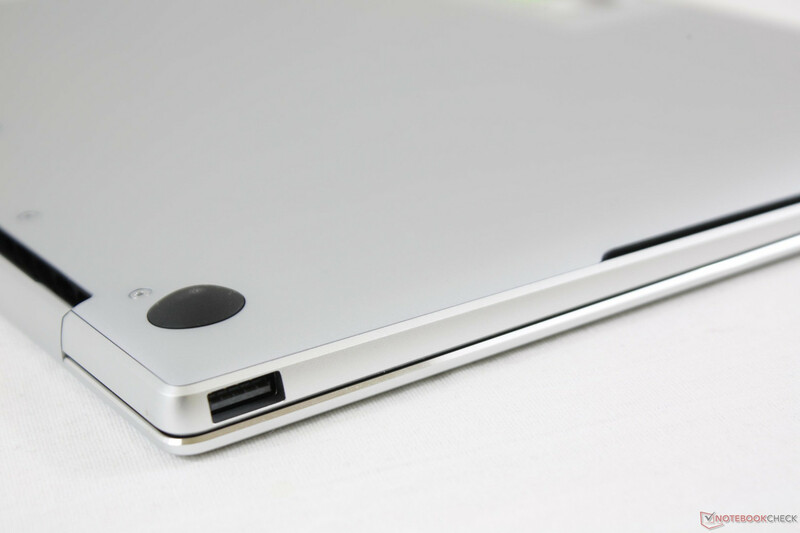 The MateBook X Pro has a fingerprint reader that is integrated into the power button. This unlocks the system a lot faster than a password. 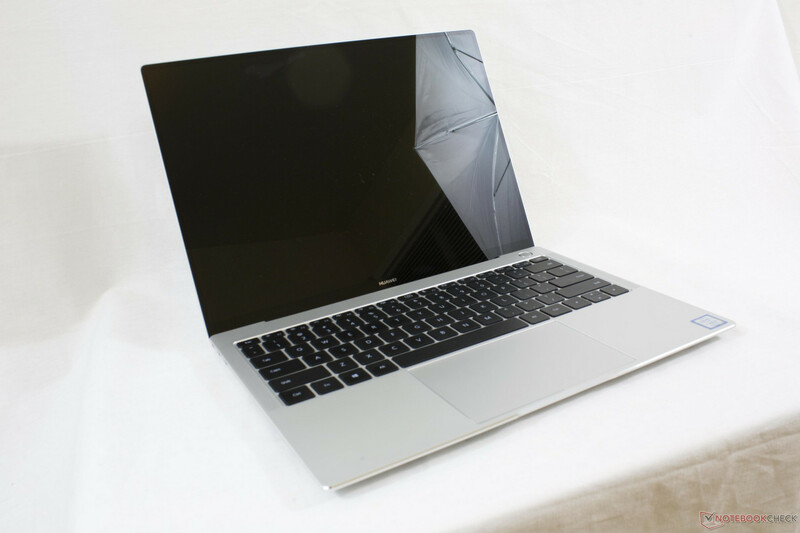 The scope of delivery of the Huawei MateBook X Pro includes a USB Type C power supply plus a suitable USB cable and the Huawei MateDock 2. The latter offers ports for VGA and HDMI as well as two more USB connectors. 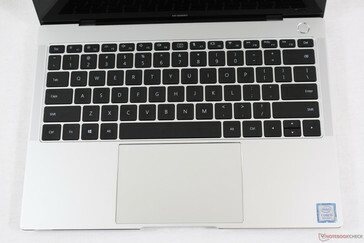 The manufacturer also offers a suitable leather case, a Huawei backpack, Bluetooth mice, an anti-glare screen protector and a USB-to-LAN adapter for separate purchase. 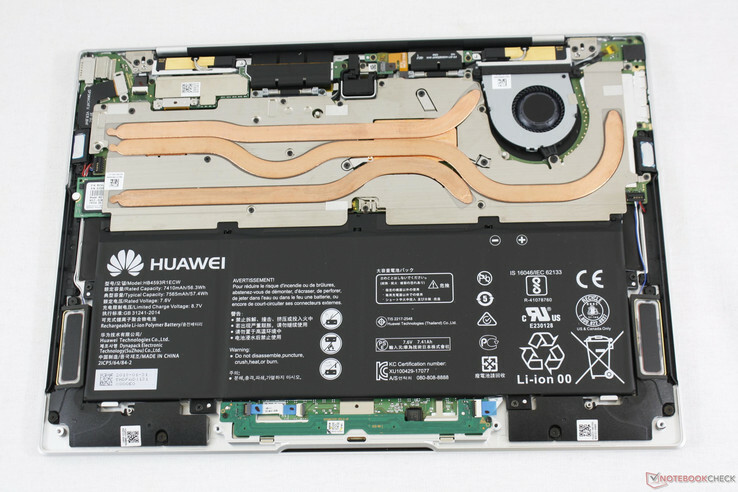 You can access the insides of the Huawei MateBook X Pro via the bottom plate. 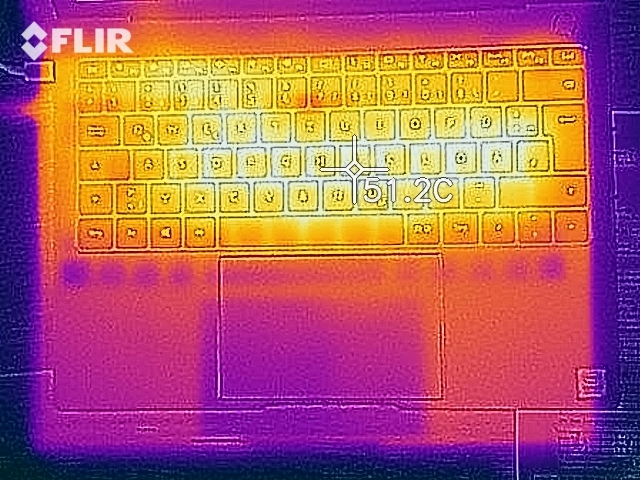 The maintenance options are rather limited, however, as almost all hardware components are covered by a heat sink. The RAM is also firmly soldered on and cannot be removed or expanded. 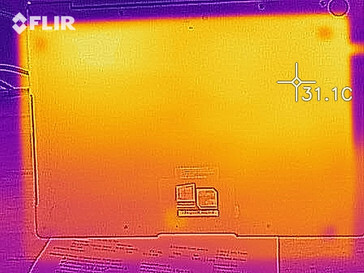 A corner of the SSD is visible on the left side, but this can only be accessed by removing the heat sink. Huawei offers a 24-month warranty on its MateBook X Pro. Please see our Guarantees, Return policies and Warranties FAQ for country-specific information. 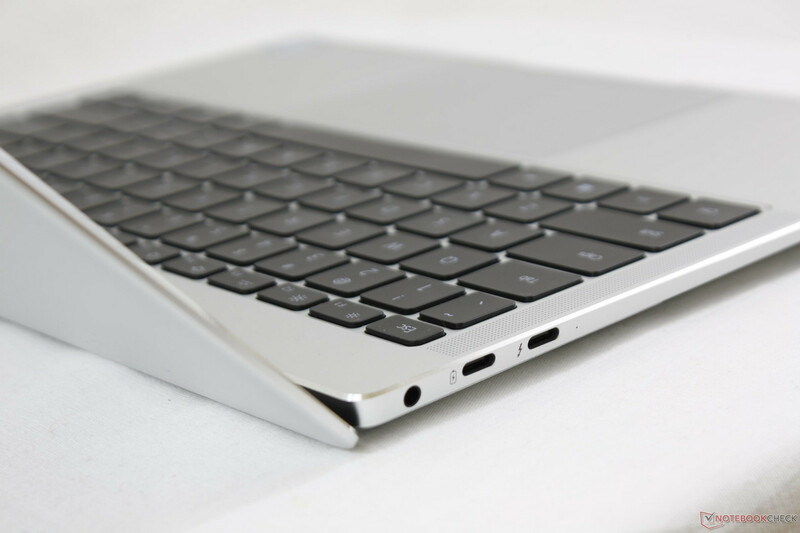 Please take a look at our previous review of the MateBook X Pro for detailed information on input devices. The screen of the Huawei MateBook X Pro is a 13.9-inch LTPS panel with a resolution of 3000x2000 pixels. Compared to the MateBook X Pro i5, the display quality has improved even more. The average brightness is now 512 cd/m² and the brightness distribution is more balanced at 88%. The touchscreen responds quickly to inputs and does not show fingerprints immediately thanks to its oil-resistant surface. 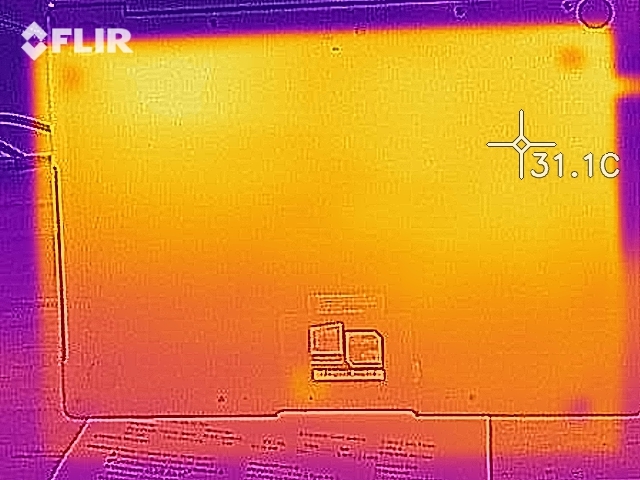 Our measurements confirm that the Huawei MateBook X Pro has a very good contrast ratio of 1719:1 and a slightly elevated black value of 0.32 cd/m². 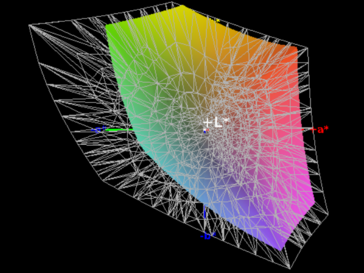 Colors appear strong and very distinct from one another. Blacks are intense and deep. We did not notice a blue cast ex-works, but calibrated the screen anyway, which further improved the display quality. 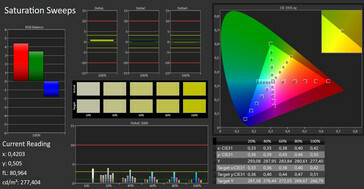 Users can expect a color space coverage of 98% of the sRGB and 62% of the AdobeRGB color space. The MateBook X Pro cannot really be used outdoors despite its good brightness. 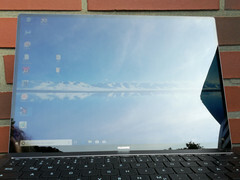 Even on cloudy days the screen is very reflective and difficult to read comfortably. 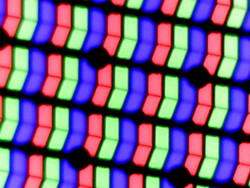 You can see slight backlight bleeding in the corners in dark surroundings, but this does not have a noticeable influence on everyday use. The Huawei notebook's LDPS panel has very stable viewing angles. Content can be read from almost every angle - as long as there are no reflections. The MateBook X can therefore also be used in unusual positions. Our test unit is equipped with an Intel Core i7-8550U processor, an Nvidia GeForce MX150, 8 GB of RAM and a 512-GB SSD. Alternatively, the Huawei MateBook X Pro is also available with a Core i5-8250U and 16 instead of 8 GB of RAM. 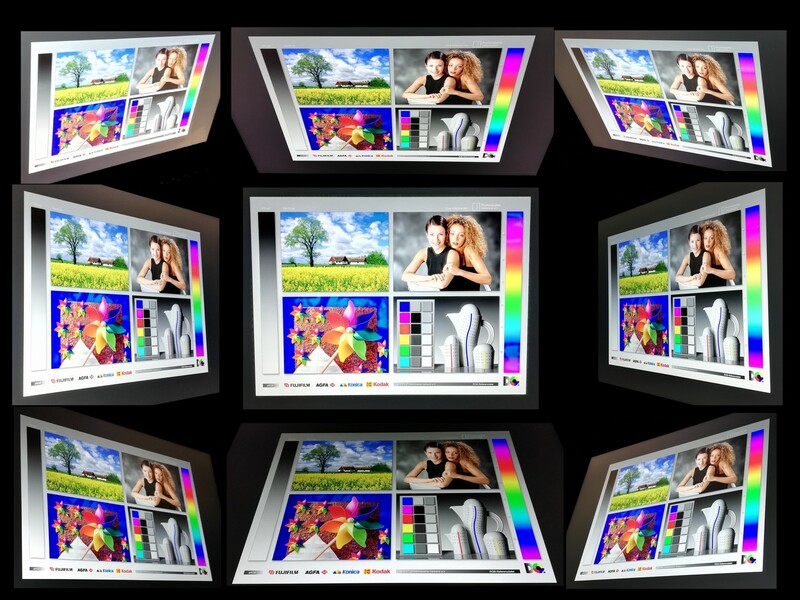 This configuration is also suitable for more demanding applications and even allows for light gaming. Intel's Core i7-8550U is a quad-core processor that can be considered a direct successor of the Core i7-7500U. This model is more energy efficient and offers higher clock rates that can theoretically reach up to 4 GHz. 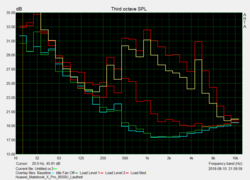 In our test unit, the maximum clock rate was 3.4 GHz with a TDP of 13 watts. 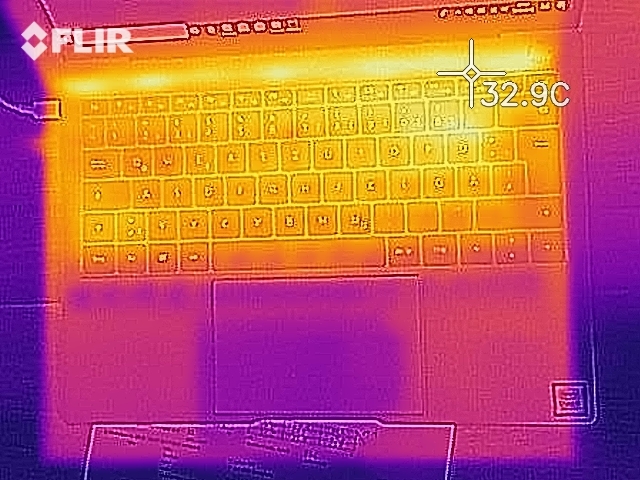 In addition, we noticed consistent throttling throughout our Cinebench loop, which limited the performance of the MateBook X Pro significantly and placed it on the same level as that of the MateBook X Pro equipped with the Core i5-8250U. Compared to our device's competition, the performance of the Core i7-8550U in the MateBook X Pro is significantly below its potential. The results of the Cinebench R15 benchmarks put our Huawei on the level of the Core i5-8250U. The PCMark benchmarks also indicate that there is very little difference between the two processor options. 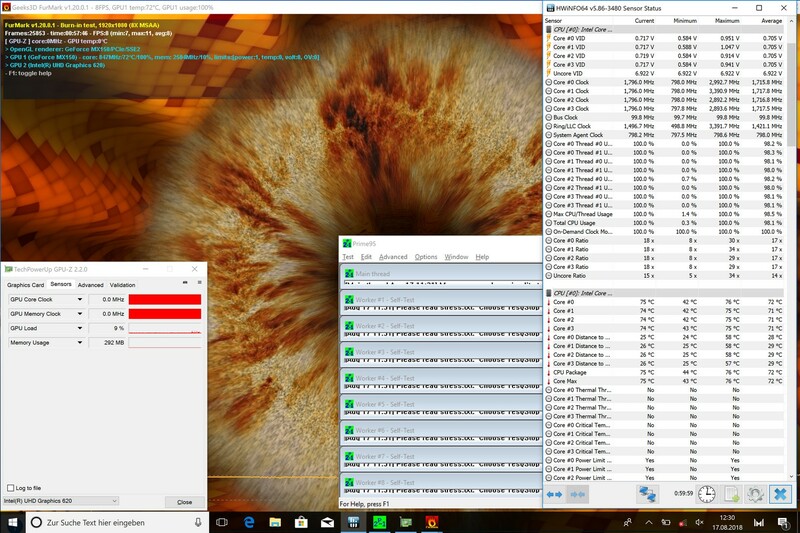 In the PCMark 8 Work test, our current test unit is only 2% ahead of the Core i5-8250U version and it actually lags behind by 8% in the Home test. The comparison with potential competitors shows that the performance is average, which our experience during the test period confirms. The system runs smoothly, starts up quickly and performs well in general. We did not notice any judders or similar hiccups during testing. You can find out about the performance of other notebooks equipped with the Intel Core i7-8550U in our CPU benchmark list. The Huawei MateBook X Pro is equipped with a fast Toshiba SSD that has a capacity of 512 GB. 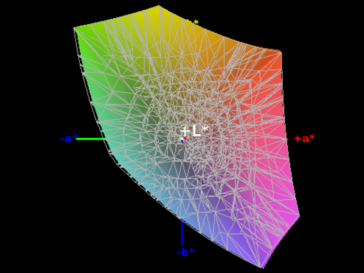 This is divided into two partitions ex-works. One 80-GB partition contains the operating system, the other offers 381 GB and is available for free use. The write and read rates, measured with our storage benchmark, are good (typical for an SSD) and slightly above those of the competition. 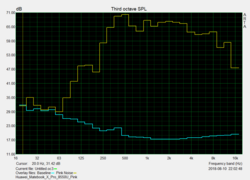 You can compare the performance of other storage devices with our Toshiba SSD on our HDD-/SSD benchmark page. Huawei has equipped the MateBook X Pro with a GeForce MX150 from Nvidia. 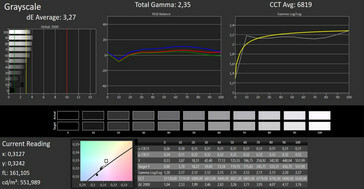 It is the more energy-efficient version, N17S-LG-A1, and has a clock rate of 936 MHz and a TDP of 10 watts. 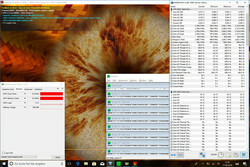 Although it can reach a higher performance than notebooks that are only equipped with an Intel UHD Graphics 620 or AMD Radeon RX Vega 10, it cannot reach the performance that a dedicated GeForce MX150 should offer. 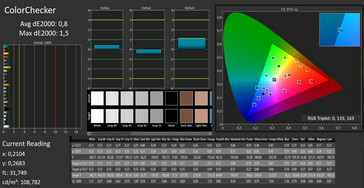 Look up the performance of the Nvidia GeForce MX150 in other devices in our GPU benchmark list. The dedicated Nvidia GeForce MX150 means that the Huawei MateBook X Pro is also suitable for gaming. We would suggest playing older games as these can be displayed smoothly at higher resolutions and over longer periods of time. Compared to other notebooks of this price range, the MateBook X Pro can impress with its good gaming performance. Current blockbusters might not be the ideal choice, but older or less demanding games can be displayed easily. Find out which games run smoothly on the Nvidia GeForce MX150 in our GPU gaming list. The MateBook X Pro is silent while idling or running under moderate load. 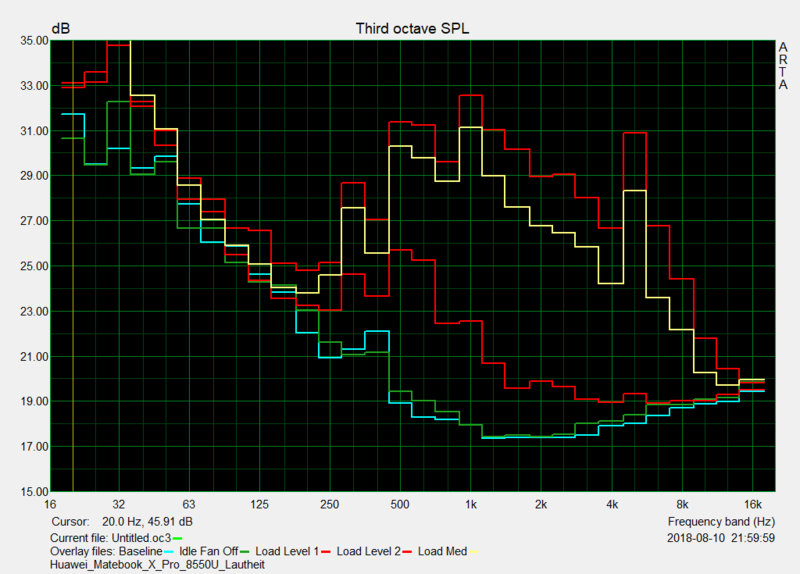 When the load increases, the cooling fans slowly turn on and cool the device at a consistent noise level. While the notebook is audible, the noise remains at an acceptable level. The Huawei MateBook X Pro remains cool while idling. We measured a surface temperature of about 26 °C (78.8 °F) when the device was running without load. 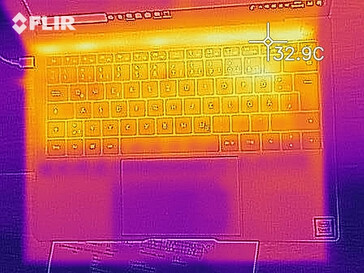 More demanding applications do cause the hardware to heat up with a hotspot near 50 °C (122 °F). 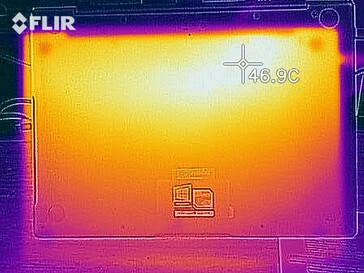 The core temperatures reached up to 75 °C (167 °F) during our stress test and the clock rate dropped to 768 MHz, which is far lower than the basic clock rate. As this level of stress is basically impossible to reach in everyday use, you should not have to worry about limitations due to high temperatures. 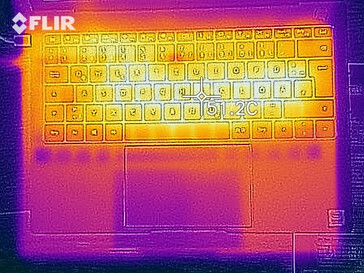 (-) The average temperature for the upper side under maximal load is 42.3 °C / 108 F, compared to the average of 30.7 °C / 87 F for the devices in the class Subnotebook. The speakers of the Huawei MateBook X Pro offer a balanced sound. They are suitable for the occasional film or music session and do not necessarily have to be connected to external speakers/headphones. If you do want an external connection, you can use the 3.5-mm audio jack. The power consumption of the Huawei MateBook X Pro is on par with its comparison devices but is still slightly below the average of the competition. 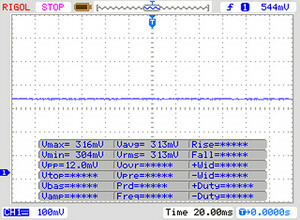 We measured a maximum power consumption of 40.2 watts under load, which means that the device reaches the limit of the included 40-watt power supply. The device only requires 4.7 watts while idling. The MateBook X Pro reaches a battery runtime of 8.5 hours during our practical Wi-Fi test. This means that the Huawei can get through an average working day without having to be connected to the power supply. 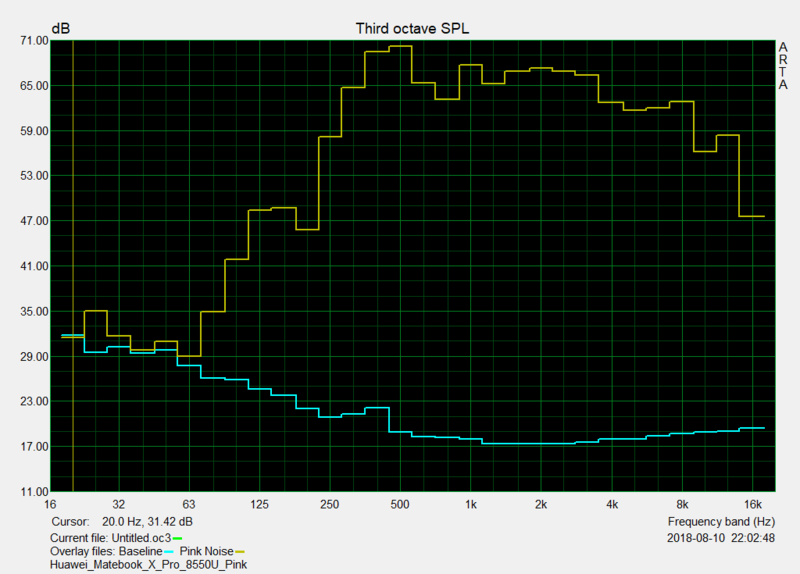 This result is slightly better than that of our comparison devices and is very pleasing. 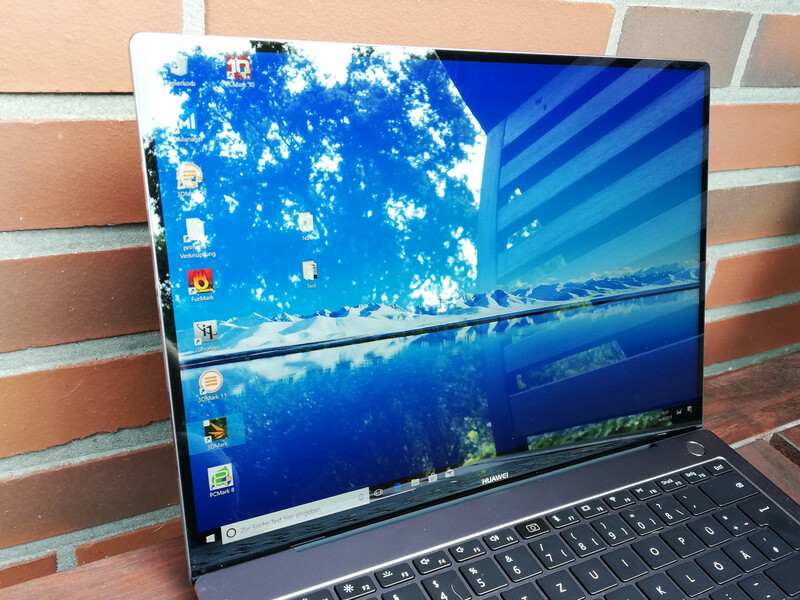 Review: Huawei MateBook X Pro. 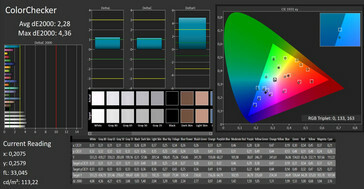 Test unit provided by Huawei Germany. The Huawei MateBook X Pro presents itself as a high-performance notebook with a smooth system and an intense color display. Compared to similarly equipped devices, we noticed that the CPU performance could not beat that of the cheaper Intel Core i5-8250U and that GPU performance is below average as well. Therefore, the higher price for the allegedly faster processor is not really justified. The Huawei MateBook X Pro offers good system performance and a great design for a moderate price. But a better cooling system would have enabled even better performance. Apart from this weakness, buyers can enjoy great battery runtimes and a notebook that is even suitable for moderate gaming. 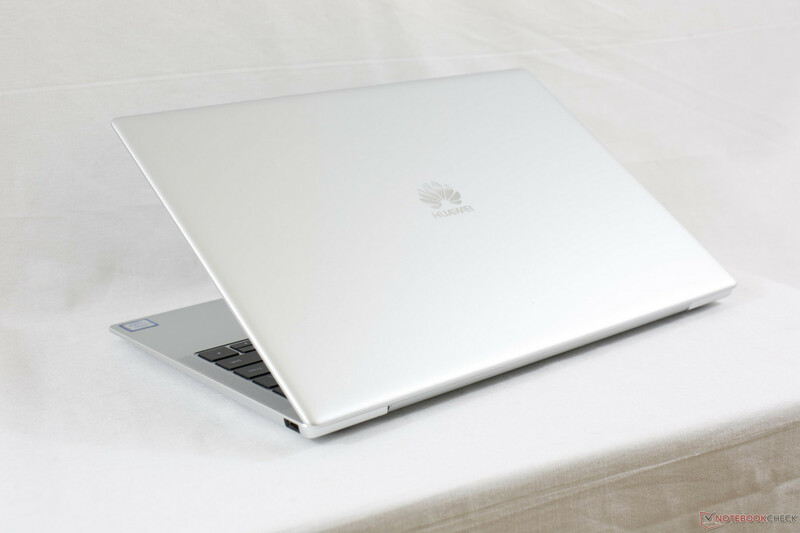 The Huawei device also deals well with more demanding office programs while the 512-GB SSD should offer sufficient space for your data.